One of the most prominent businesses in the Southbridge Crossing area is obviously Wal-Mart. It was a very big deal when Wal-Mart purchased it’s lot in Shakopee, MN 2001. After all, the Twin Cities area is the land of Target. Anywhere you are, you’re probably no more than 10 minutes away from a Target. When Wal-Mart came, it was one of the very few in the area. Now, over 10 years later, a few more Walmarts have just started opening the area. Even still, our Walmart remains one of the most active and well known. And because of this, we thought we’d share a bit of history about this great American company. As many know, Walmart (as well as Sam’s Club) was founded by Sam Walton. Sam had early success managing a franchise of Ben Franklin’s variety stores. For those unfamiliar when Ben Franklin stores, they’re small general stores that typically contain sowing and fabric supplies, office supplies, various decor and “knick-knacks”, candy, beverages, etc. It was during this time that Sam started developing a passion for offering customers lower prices. By purchasing more items from a wholesaler, he could pass the money saved directly to customers. Sam was known for notoriously pinching pennies and saving money whenever and wherever he could. Even after the great success of Walmart, he and other executives would fly coach and share motel rooms. In 1950, Sam Walton opened his first store in Bentonville, Arkansas. It was called Walton’s 5 & 10 (as it was a five and dime and store). Soon, Sam began lowering his prices which ultimately decreased his profits but made his prices cheaper than anyone else’s. This ultimately led to an influx in sales. Even though he was making less per item he sold, he was selling considerably more than the competition, thus making up the difference. It was this kind of mentality that would help drive Walmart to success. It was in 1962 that the first official “Wal-Mart” opened in 1962. The store was built on the principle of having “the lowest prices, anytime, anywhere”. 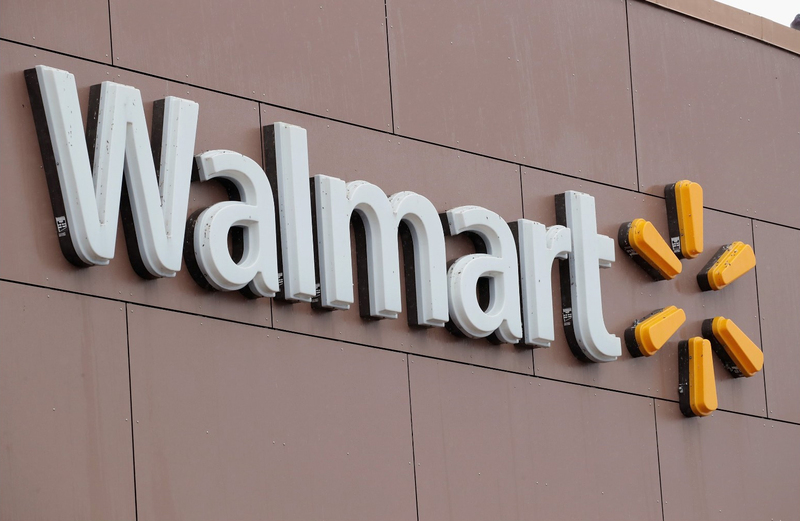 Within just five years, there were 24 Wal-Mart stores. But it wasn’t till the 70’s that things really exploded. During that decade, Wal-Mart spread across the nation, became publically traded, and was officially listed on the New York Stock Exchange. Just one year into the 80’s, the company would reach a billion dollars in sales. In 83, the first Sam’s Club opened. As the company continued to grow, Sam Walton held strong to his belief in low costs which involved keeping overhead cost as small as possible, sometimes at the expense of higher wages. To keep employee moral high, Sam would personally travel across the country and visit each store, meeting employees and sharing his vision. He also started giving employees a stake in the company which would increase in value dramatically the longer they worked there. He’s also credited for popularizing the term “associate” in place of “employee” as a way of showing more respect. Though many chains have risen and fallen since Walmart began, Walmart itself only continues to grow. And that’s why we think Walmart is a pretty great addition to the Southbridge Crossing.